A 'Children of Y'Dahnndrya' short story -- At the edge of Mesna'Ya, the warrior communes with the Creator. Through his deep meditation, a vision and a task are revealed. The warrior must leave his home, his beloved D'Koruyi, and all that is familiar to follow a dim path toward an uncertain end. He returns home to prepare for the journey and finds himself surrounded by memories long buried. Of his wise and gentle Morah who one day disappeared during the hunt. Of the purpose of fire. To find his charge he must travel many dawnings to the east. Crossing over the boundary dividing his clan and the M'Neshunnayans is foolhardy but it must be done. He will risk everything to see his task through to the end, wherever it may lead him. 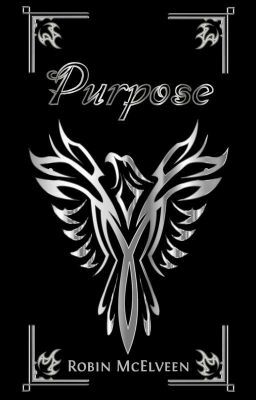 "Purpose" was written as a promotional story for the novel I'm publishing in the autumn (2017). "Gelte" is the D'Koruyin word for young maiden. It's pronounced with a hard 'g' as in go and both 'e''s have the short e sound -- GEL'teh. I like to listen to Electus or Oskar Schuster when I read over my work. Their works seems to fit best with my words. I've included three songs by Electus within the story. To say anything more would spoil the very short tale. With that said, I hope you will enjoy reading it.